Ace your thermodynamics course with this powerful study guide! It can help pump up your problem-solving skills, improve your comprehension, and reduce the time you need to spend studying! Students love Schaum's Outlines! Each and every year, students purchase hundreds of thousands of the best study guides available anywhere. Students know that Schaum's delivers the goods--in faster learning curves, better test scores, and higher grades! Schaum's Outlines give you the information teachers expect you to know in a handy and succinct format--without overwhelming you with unnecessary details. You get a complete overview of the subject--and no distracting minutiae. Plus, you get plenty of practice exercises to test your skill. Compatible with any classroom text, Schaum's lets you study at your own pace and reminds you of all the important facts you need to remember--fast! And Schaum's is so complete it's the perfect tool for preparing for graduate or professional exams! 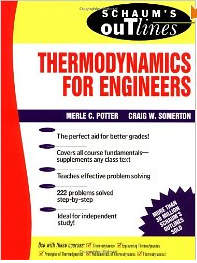 If you want top grades and excellent understanding of thermodynamics, this powerful study tool is the best tutor you can have! Fig. 3. 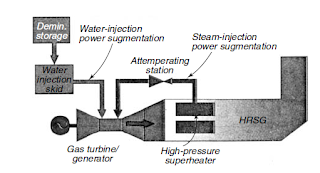 For advanced GTs, the steam source may be extracted from either the high-pressure (h-p) turbine exhaust, an h-p extraction, or the heat recovery steam generator’s (HRSG) h-p section. Cycle economics and plant-specific considerations determine the steam extraction point. For example, advanced, large-frame GTs require steam pressures of 410 to 435 lb / in2 (gage) (2825 to 2997 kPa). This is typically higher than the economically optimal range of h-p steam turbine exhaust pressures of 285 to 395 lb / in2 (gage) (1964 to 2722 kPa). Thus, steam must be supplied from either the HRSG or an h-p turbine extraction ahead of the reheat section. Based on installed-cost considerations alone, extracting steam from the HRSG is favored for peaking service and may be accomplished without altering the reheat steam turbine. But if a plant operates in the steam-injection mode for extended periods, extracting steam from the turbine or increasing the h-p turbine exhaust pressure becomes more cost-effective. Because the steam-injection system requires makeup water as pure as boiler feedwater, some means to treat up to 350 gal /min (22.1 L/ s) of additional water is necessary. A dual-train demineralizer this size could cost up to $1.5-million. However, treated water could also be bought from a third party and stored. Or portable treatment equipment could be rented during peak periods to reduce capital costs. For the latter case, the average expected cost for raw and treated water is about $130/h of operation. This analysis assumes that steam- or water-injection equipment is already in place for NOx control during distillate-fuel firing. Thus, no additional capital cost is incurred. When water injection is used for power augmentation or NOx control, the recommended water quality may be no more than filtered raw water in some cases, provided the source meets pH, turbidity, and hardness requirements. Thus, watertreatment costs may be negligible. After 2020 the servicing of R-22-based systems will rely on recycled refrigerants. It is expected that reclamation and recycling will ensure that existing supplies of R-22 will last longer and be available to service a greater number of systems. As noted above, chemical manufacturers will be able to produce R-22 for use in new A/C equipment until 2010, and they can continue production of R-22 until 2020 for use in servicing that equipment. Given this schedule, the transition away from R-22 to the use of ozone-friendly refrigerants should be smooth. For the next 20 years or more, R-22 should continue to be available for all systems that require R-22 for servicing. While consumers should be aware that prices of R-22 may increase as supplies dwindle over the next 20 or 30 years, the EPA believes that consumers are not likely to be subjected to major price increases within a short time period. Although there is no guarantee that service costs of R-22 will not increase, the lengthy phaseout period means that market conditions should not be greatly affected by the volatility and resulting refrigerant price hikes that have characterized the phaseout of R-12, the refrigerant used in automotive airconditioning systems, which has been replaced by R-134a. Alternatives for residential air conditioning will be needed as R-22 is gradually phased out. Non-ozone depleting alternative refrigerants are being introduced. Under the Clean Air Act, EPA reviews alternatives to ozone-depleting substances like R-22 in order to evaluate their effects on human health and the environment. The EPA has reviewed several of these alternatives and has compiled a list of acceptable substitutes. One of these substitutes is R-410A, a blend of hydrofluorocarbon (HFC) substances that does not contribute to depletion of the ozone layer but, like R-22, does contribute to global warming. R-410A is manufactured and sold under various trade names, including Genetron AZ 20, SUVA 410A®, and Puron. Additional refrigerants on the list of acceptable substitutes include R-134a and R 407C. These two refrigerants are not yet available for residential applications in the U.S. but are commonly found in residential A/C systems and heat pumps in Europe. EPA will continue to review new non-ozone-depleting refrigerants as they are developed. Existing units using R-22 can continue to be serviced with R-22. There is no EPA requirement to change or convert R-22 units for use with a non-ozone-depleting substitute refrigerant. In addition, the new substitute refrigerants cannot be used without making some changes to system components. As a result, service technicians who repair leaks will continue to charge R-22 into the system as part of that repair. The transition away from ozone-depleting R-22 to systems that rely on replacement refrigerants like R-410A has required redesign of heat-pump and air-conditioning systems. New systems incorporate compressors and other components specially designed for use with specific replacement refrigerants. With these significant product and production process changes, testing and training must also change. Consumers should be aware that dealers of systems that use substitute refrigerants should be schooled in installation and service techniques required for use of that substitute refrigerant. Several regulations have been issued under Section 608 of the Clean Air Act to govern the recycling of refrigerants in stationary systems and to end the practice of venting refrigerants to the air. These regulations also govern the handling of halon fire-extinguishing agents. A Web site and both the regulations themselves and fact sheets are available from the EPA Stratospheric Ozone Hotline at 1-800-296-1996. The handling and recycling of refrigerants used in motor-vehicle air-conditioning systems is governed under section 609 of the Clean Air Act. In 2005 EPA finalized a rule amending the definition of refrigerant to make certain that it only includes substitutes that consist of a class I or class II ozone-depleting substance (ODS). This rule also amended the venting prohibition to make certain that it remains illegal to knowingly vent non exempt substitutes that do not consist of a class I or class II ODS, such as R-134a and R-410A. In the same year EPA published a final rule extending the required leak-repair practices and the associated reporting and record-keeping requirements to owners and/or operators of comfort-cooling, commercial-refrigeration, or industrial-process refrigeration appliances containing more than 50 pounds of a substitute refrigerant if the substitute contains a class I or class II ozone-depleting substance (ODS). In addition, EPA defined leak rate in terms of the percentage of the appliance’s full charge that would be lost over a consecutive 12-month period if the current rate of loss were to continue over that period. EPA now requires calculation of the leak rate whenever a refrigerant is added to an appliance. In 2004 EPA finalized a rule sustaining the Clean Air Act prohibition against venting hydrofluorocarbon (HFC) and perfluorocarbon (PFC) refrigerants. This rule makes the knowing venting of HFC and PFC refrigerants during the maintenance, service, repair, and disposal of air conditioning and refrigeration equipment (i.e., appliances) illegal under Section 608 of the Clean Air Act. The ruling also restricts the sale of HFC refrigerants that consist of an ozone-depleting substance (ODS) to EPA-certified technicians. However, HFC refrigerants and HFC refrigerant blends that do not consist of an ODS are not covered under “The Refrigerant Sales Restriction,” a brochure that documents the environmental and financial reasons to replace CFC chillers with new, energy-efficient equipment. A partnership of governments, manufacturers, NGOs (nongovernmental organizations), and others have endorsed the brochure to eliminate uncertainty and underscore the wisdom of replacing CFC chillers. Refrigerants are used in the process of refrigeration, which is a process whereby heat is removed from a substance or a space. A refrigerant is a substance that picks up latent heat when it evaporates from a liquid to a gas. This is done at a low temperature and pressure. A refrigerant expels latent heat when it condenses from a gas to a liquid at a high pressure and temperature. The refrigerant cools by absorbing heat in one place and discharging it in another area. There are other qualities that all refrigerants have: molecular weight, density, compression ratio, heat value, and compression temperature. These qualities will vary with the refrigerant used. The compressor displacement and type or design will also influence the choice of refrigerant. Class 1 refrigerants cool by absorption or extraction of latent heat from the substances. Class 2 refrigerants cool substances by absorbing their sensible heats. They include air, calcium-chloride brine, sodium-chloride (salt) brine, alcohol, and similar non-freezing solutions. Class 3 refrigerants consist of solutions that contain absorbed vapors of liquefiable agents or refrigerating media. These solutions function through their ability to carry the liquefiable vapors. The vapors produce a cooling effect by the absorption of latent heat. An example is aqua ammonia, which is a solution composed of distilled water and pure ammonia. Insulation is required for refrigeration piping to prevent moisture condensation and prevent heat gain from the surrounding air. The desirable properties of insulation are that it should have a low coefficient of heat transmission, be easy to apply, have a high degree of permanency, and provide protection against air and moisture infiltration. Finally, it should have a reasonable installation cost. The type and thickness of insulation used depends on the temperature difference between the surface of the pipe and the surrounding air and also on the relative humidity of the air. It should be clearly understood that although a system is designed to operate at a high suction temperature, it is quite difficult to prevent colder temperatures occurring from time to time. This may be due to a carrying over of some liquid from the evaporator or the operation of an evaporator pressure valve. Interchangers are preferable to insulation in this case. One of the safest pipe insulations available is molded cork or rock cork of the proper thickness. Hair felt insulation may be used, but great care must be taken to have it properly sealed. For temperatures above 40 degrees F, wool felt or a similar insulation may be used, but here again, success depends on the proper seal against air and moisture infiltration. However, if there is danger of the liquid lines going below the surrounding air temperatures and causing condensation, they should be insulated when condensation will be objectionable. If they must unavoidably pass through highly heated spaces, such as those adjacent to steam pipes, through boiler rooms, etc., then the liquid lines should also be insulated to ensure a solid column of liquid to the expansion valve. There were four types of insulation in use before the discovery of modern insulation materials. Those you may encounter that were in general use for refrigerator piping, are cork, rock cork, wool felt, and hair felt. Various materials have been used for insulation purposes in the refrigeration field. It is this equipment that service people are most often called to repair or maintain. It is therefore necessary for the present day repair person to be acquainted with the older types of insulation that may be encountered during the workday. The success of any refrigeration plant depends largely on the proper design of the refrigeration piping and a thorough understanding of the necessary accessories and their functions in the system. In sizing refrigerant lines, it is necessary to consider the optimum sizes with respect to economics, friction losses, and oil return. It is desirable to have line sizes as small as possible from the cost standpoint. On the other hand, suction- and discharge-line pressure drops cause a loss of compressor capacity, and excessive liquid line pressure drops may cause flashing of the liquid refrigerant with consequent faulty expansion-valve operation. • Proper refrigerant feed to the evaporators should be ensured. • Refrigerant lines should be of sufficient size to prevent an excessive pressure drop. • An excessive amount of lubricating oil should be prevented from being trapped in any part of the system. • Liquid refrigerant should be prevented from entering the compressor at all times. Pressure drop in liquid lines is not as critical as it is in suction and discharge lines. The important thing to remember is that the pressure drop should not be so great as to cause gas formation in the liquid line and/or insufficient liquid pressure at the liquid-feed device. A system should normally be designed so that the pressure drop due to friction in the liquid line is not greater than that corresponding to a 1-to 2-degree change in saturation temperature. Friction pressure drops in the liquid line include a drop in accessories, such as the solenoid valve, strainer-drier, and hand valves, as well as in the actual pipe and fittings from the receiver outlet to the refrigerant feed device at the evaporator. Friction pressure drop in the suction line means a loss in system capacity because it forces the compressor to operate at a lower suction pressure to maintain the desired evaporating temperature in the coil. It is usually standard practice to size the suction line to have a pressure drop due to friction no greater than the equivalent of a 1- to 2-degree change in saturation temperature. Vapor systems use the condensing process to reach subatmospheric pressures. Vacuum systems need a mechanically operated vacuum pump to reach sub-atmospheric pressures. 1. Radiant-panel heating eliminates radiators and grills, thus providing more floor space and resulting in better furniture arrangements and wall decorations. 2. There is less streaking of walls and ceiling due to lower velocities of air currents. 3. It provides warm floors in homes with no basement. 4. It simplifies interior architectural and engineering building designs. 5. A well-designed and installed radiant-panel heating system provides low operating and maintenance costs. Hot-water radiant panels can be installed in nearly any type of building, with or without a basement or excavated section. Conventional hot-water boilers are used. Units of this type are available in compact types that fit into small spaces and are fired by gas or oil. Additions can be installed at any time, provided that the limitations of the boiler unit and circulating pump are not exceeded. Radiant panels should never be used with steam; too many complications arise. In addition, domestic hot water should not be taken from the system for use in bathrooms or kitchens. Provision must be made for draining the system if the need should arise. Care must be taken in design and installation to ensure that the system can be completely drained, with no water pockets that will hold water and result in damage in the event of a freeze. Ceiling panels should not be installed above plywood, composition board, or other insulating types of ceiling material. Surfaces of this type have an undesirable insulating effect that diminishes full heat output of the panel. Radiant panels are often installed in floors. When this is done, the best arrangement is to place the coils in the concrete floor slab. Good results are obtained when the pipe or tubing is placed at least 2 inches below the floor surface or deeper if a heavy traffic load is anticipated. Allow a minimum of two weeks for the concrete to set before applying heat, and then apply heat gradually. Floor covering of terrazzo, linoleum, tile, or carpeting can be installed. If the water temperature is kept below the prescribed maximum of 85 degrees F, no damage will result to rugs, varnish, polish, or other materials. A typical piping diagram for a radiant floor panel avoids low places in the coil. Heat loss to the ground from a floor panel laid directly on the ground can be expected. This loss is estimated to be from 10 to 20 percent of the heat provided for the room. Heat loss from outside slab edges can be greater than this amount. Slab edges should receive from l/2 inch to 2 inches of waterproof insulation. It is not customary to install radiant wall panels except to provide supplementary heat where ceiling and/or floor panels do not provide a required degree of comfort. Wall panels are occasionally installed in bathrooms where higher than normal heat temperatures may be desired. In a typical radiant wall panel installation diagram it must be remembered that circulating pumps for use with radiant heating should have a higher head rating than for convector systems of the same capacity. This requirement exists because the coil pressure drop is considerably higher than the drop in a radiator or convector. Certain fittings or devices are essential to the proper operation of a boiler. The piping diagram is a typical steam boiler with the control and indicating devices that are essential to its proper operation. One of the most important features is the safety valve. Every boiler installation must have a safety valve installed to protect the boiler itself and the building occupants in case of malfunction. These valves are adjusted to open and relieve the internal pressure should it rise above a safe predetermined level. Numerous valves, gauges, and safety devices are found on all boilers. The level of the water in a boiler must be maintained between certain limits; otherwise, serious damage to the boiler and building may result, as well as possible injury to the building occupants. Various safety devices are incorporated to protect against this possibility. Water gauges are provided as a means of visually checking the level. More sophisticated gauges employ floats that actuate a whistle or other alarm when the water level drops to a dangerous point. Pressure-relief valves and fusible plugs are also used to protect the boiler in case of malfunction. Both of these devices will relieve dangerous high pressure under certain conditions. Injectors are used to supply water against the high pressure existing within a boiler. This is done by means of the jet principle. Steam loops are often provided to return condensate to a boiler. These devices are entirely automatic and have only one moving part, a check valve at the bottom of the drop leg. Heating pumps are usually used in steam heating systems to improve efficiency. Two principal types are available—condensation pumps and vacuum pumps. The type of heating system, cost, and individual requirements dictate which of these pumps must be used. This heating section is a brief summary of steam and hot-water heating principles and in general contains the information necessary to answer questions pertaining to steam and hot-water heating that may be found in plumbing code examinations. 1. Air cannot enter-the system as it is closed. Thus, a moderate vacuum is created by the condensation producing steam at lower temperatures. 2. An even, quiet circulation of steam is provided with no air binding or noisy water hammer. 3. Room temperatures can be closely and automatically regulated by thermostatic controls. 4. Radiator air valves are not required. 1. Comparatively large pipe sizes are necessary. 2. Only low steam pressure is possible. 3. The condensate must return to the boiler by gravity. The condensate must return to the boiler by gravity in this type of heating system and may back up in the vertical return pipe when there is excess steam pressure in the boiler. As a result, an air eliminator must be installed well above the level of the water in the boiler, yet low enough for it to close before the return water is of sufficiently high level to enter the return main. Close control of the boiler pressure is required in this type of system. A return-trap heating system closely resembles the vapor system except that the return trap provides a positive return of condensate to the boiler. This type can be used in all but the largest buildings if the equivalent direct radiation (EDR) capacity is not greater than the return-trap capacity. If we have a non-flow process occurring, say, within an engine cylinder, then, inevitably, some heat energy is transferred to or from the gas through the cylinder walls. Usually, this heat energy is transferred out of the cylinder walls to the engine cooling water. The quantity of heat energy transferred affects the values of pressure and temperature achieved by the gas within the cylinder. Only in an adiabatic process is there no transfer of heat energy to or from the gas, and this situation is impossible to achieve in practice. In order to find how much heat energy has been transferred during a non-flow process, we use the non-flow energy equation (NFEE) (see page 17, ‘The non-flow energy equation’. In words, this means that the heat energy transferred through the cylinder walls is the work done during the process added to the change in internal energy during the process. Remember that the internal energy of the gas is the energy it has by virtue of its temperature, and that if the temperature of the gas increases, its internal energy increases, and vice versa. Q = W + (U2 – U1). W = 0 in a constant volume process. Q = W + (U2 – U1). W = p. V in a constant pressure process. concerning the gas constant, R, and values of cp and cv. This is the definition of an adiabatic process. Q = W + (U2 – U1). No change in temperature, therefore no change in U. A building or space within a building may be used in many different ways. For each of these applications, the HVAC designer must determine the general criteria from personal experience or study and then add the special requirements of the user of the particular facility. The ASHRAE handbooks contain chapters on many common and exotic applications. The discussions which follow are limited to some of the more common applications. In every environment there are concerns for temperature, relative humidity, sound level and character, and the general quality of breathable air. In general, the higher the standard to be met, the more expensive the system will be to install, and probably to operate. Two essential residential criteria are adequate comfort and the need of occupants to be able to adjust the controller set point. In larger residences (over 2400 ft2), the use of multiple HVAC systems should be considered, to allow zoning. These criteria extend to apartments and hotel or motel guest rooms. First cost and operating cost are concerns, as are simplicity and an acceptable sound level [from 30 to 40 noise criteria (NC)]. Two basic needs are comfort and an adequate ventilation rate (airflow in cubic feet per minute per square foot or per person)—so that occupants will not complain of stuffy or dead air. Where smoking is allowed, the ventilation rate and the amount of outside air must be increased. Controls are often designed to be nonadjustable by occupants. Zoning must be provided to compensate for use, occupant density, and exterior exposure. Conference rooms and corner offices should be separate zones. The ideal HVAC system is flexible enough to allow for adding or rearranging of zones as use changes. Noise levels should be stable in a range of 30 to 40 NC. Figure 2.1 is a schematic representation of an elementary mechanical cooling cycle. While dehumidification is not an essential part of the cooling cycle, it usually occurs where the cooling medium is colder than the dew point temperature of the air. The cooling load QC in the conditioned space is a combination of internal and external loads (e.g., people, lights, solar) and is usually removed by circulating air through the space, with the entering air having a lower temperature and humidity than the desired space condition. To offset the cooling load, the temperature and humidity of the supply air are increased to equal those of the space, and then air is returned to the air-handling unit (AHU), where it is recooled and dehumidified. Most spaces require some (outside) ventilation air, which is mixed with the return air at the AHU, thereby imposing an additional cooling load QV. If the outside- air enthalpy is less than the space enthalpy, then QV will be negative and some ‘‘free cooling’’ will be obtained. Work energy is required to circulate the air—usually a fan driven by an electric motor—and this work QW becomes a part of the cooling load. The total load represented by QC + QV + QW must be removed by the heat rejection equipment, usually a refrigeration system. Some additional work is done here by pumping fluids and driving refrigeration machines and condenser or cooling-tower fans. Ultimately all this heat energy is dumped to a heat sink—sometimes water, most often atmospheric air. Note that the work portions of this cycle are parasitical. They contribute additional heat which must be removed, reducing the overall system efficiency. Figure 2.2 shows schematically an elementary heating cycle, again using an air-handling unit. In this cycle, the ventilation load is usually negative, requiring additional heating, but the work factors contribute to the available heat. factors may become important, particularly in large systems. Periodic international events remind us of the vital role of energy in the economic well-being of developed countries. The ability of common folk in the industrial nations to live more opulent lives than the kings and queens of yesteryear is directly related to the energy servant. Transportation, communication, agriculture, housing, manufacturing, health care services, and the like are all facilitated by the readily available supplies of energy, both fuel and power. At the same time, there are recognizable limits to available energy sources. Despite new discoveries, coal, oil, gas, and other fossil or organic fuels can be estimated in total volume, with less this year than there was last. There is a finite limit to the potential development of renewable energies, all derived from the sun, such as wood, wind, hydropower, etc. In terms of magnitude, nuclear power (the fusion concept, at that) is the only known energy source that offers hope of being able to industrialize the third world and to sustain a growing world population over centuries rather than decades. Yet the use of nuclear power is mired in political quicksand in the United States. The conclusion for the designer of HVAC systems, all of which by definition are energy-managing and energy-consuming, is that there is an international mandate as well as a moral and economic imperative to design systems which are modest in their use of energy. Although the United States lacks a well-defined national energy policy, local and regional energy codes give some direction to the HVAC systems designer. These codes encourage the construction of buildings which have lower inherent energy requirements, lighting systems which derive more illumination from fewer watts, and air-handling systems which move more air and water with less fan, pump, and compressor power. Most of these codes are based on the American Society of Heating, Refrigerating, and Air-Conditioning Engineers (ASHRAE) Standard 90.1. 1. Turn it off! There is no substitute for the off switch. Provide a mechanism to turn off energy-using systems when they are not needed. 2. Turn it down! If it has to run, design it to run at the lowest level which will still meet the duty. Try to provide modulating control for all energy consumers. 3. Tune it up! To operators: Keep things in good operating condition. To designers: Design for reliability and for maintainability. 4. Turn it around! For retrofit designers: If you find a system which consumes disproportionate amounts of energy, improve it. 5. Throw it away! If a system is an energy hog and does not lend itself to rehabilitation, be willing to take it out. The retrofit design market for the year 2000 on into the next decades is a major industry market. One good thing about energy conservation is that it nearly always pays for itself. But sometimes a bit of teaching and long-term vision are needed to get the message to the person controlling the purse strings. A word of caution. Energy conservation is important in HVAC design, but it is not the purpose or function of the HVAC system. HVAC systems are intended to provide comfort, or a controlled environment. If we conserve energy to the point that we lose sight of the system’s function, then we have failed in our duty. There is no glory in owning a building that drives tenants away with its energy-conserving but uncomfortable HVAC systems. Nor is there gratitude to an energy manager in an electronics plant where the production yield drops for lack of proper air quality even though energy costs are low. ‘‘Waste not, want not’’ is the energy motto. ‘‘Use what you need, but need what you use’’ is a corollary. 1. Air is considered to be saturated with moisture when the evaporation of water into the air at a given temperature and atmospheric pressure is offset by a concurrent condensation of water vapor to liquid. Cooling of saturated air results in dew, fog, rain, or snow. Warm air can hold more moisture than cold air. 2. Percent relative humidity measures how much water vapor is in the air compared to how much there would be if the air were saturated at the same temperature. The adjective relative is appropriate because the absolute amount of water that air can hold is relative to both temperature and barometric pressure. Changes in barometric pressure related to altitude or to weather conditions affect the moisture-holding capacity of air. 3. A psychrometric chart which presents properties of mixtures of moist air on a single graph is a most useful tool for quantitatively calculating and analyzing HVAC processes. Familiarity and facility with these charts are a must for the HVAC designer. 4. It is impossible to remove moisture from air in a heat exchange cooling process without bringing the air near to the saturation line. Moisture may be removed by desiccants without approaching saturation. 5. Optimum conditions for human health and comfort range from 70 to 75 F and 40 to 50 percent relative humidity. In terms of perceived comfort, a little higher relative humidity can offset a little lower ambient temperature. 6. Moist air in cold climates is a problem and a liability for building designers. Since the inside environment usually is moister than the outside air, insulation and vapor barriers are required to prevent condensation in the structural cavities. Failure to respect this liability may lead to early deterioration of a building. Swimming pools and humidified buildings (hospitals, etc.) are particularly vulnerable. A single-zone AHU is intended to serve only one room, or a group of rooms which are contiguous and which have similar load and exposure characteristics. The maximum area served by a single-zone AHU should not exceed 10,000 ft2. The typical single-zone AHU arrangement is shown in Fig. 11.3. This is a draw-through system, with the heating coil in the preheat position to protect the cooling coil from freezing air. It is important to sequence the operation of the control valves to avoid simultaneous heating and cooling. When one or more of the rooms served by a single-zone AHU has a load characteristic different from the other rooms, zone reheat must be provided by means of coils in the zone branch ducts, by radiation, or by fan-coil units. Because reheat is potentially energy wasteful, it may be preferable to use a different type of AHU, as described. A single-zone unit may be used to control humidity in the room. The cooling coil precedes the heating coil, which is therefore in the reheat position. Humidity control always requires additional energy—as reheat or in other ways. The cooling coil valve is controlled by either the space temperature or the space humidity, whichever creates the greater demand. If humidity controls, the temperature will tend to fall and the space thermostat will control the heating coil valve to provide reheat. The humidifier is used when required. Approximately 259,000 persons work as air-conditioning and refrigeration mechanics. Cooling contractors employ most of these mechanics. Food chains, school systems, manufacturers, and other organizations use the services of airconditioning and refrigeration mechanics. Large air-conditioning systems use many mechanics to keep the equipment operational. However, not all mechanics work for other people. About one in every seven mechanics is self-employed. Manufacturers use refrigeration equipment for a variety of processes. Meat packers and chemical makers use refrigeration in some form. Temperature control is very important for many manufacturing processes. Mechanics work in homes, office buildings, and factories. They work anywhere there is air conditioning or refrigeration to be installed or serviced. They bring to the job sites the tools and parts they need. During the repair season, mechanics may do considerable driving. Radio communications and cell phones may be used to dispatch them to the jobs. If major repairs are needed, mechanics will transport parts or inoperative machinery to a repair shop. Mechanics work in buildings that are often uncomfortable. This is because the air-conditioning or refrigeration system has failed. The mechanic may have to work in a cramped position in an attic, a basement, or a crawl space. Rooftop units are a common practice in keeping smaller installations cool. Many of the systems have at least one unit on the roof of the building. Cooling towers are usually mounted on top of a building. Thus, the mechanic may be called upon to work in high places. In summer, the rooftop may be very hot. This trade does require some hazardous work. For instance, there are the dangers of electric shock, torch burns, muscle strains, and other injuries from handling heavy equipment. System installation calls for work with motors, compressors, condensing units, evaporators, and other components. These devices must be installed properly. This calls for the mechanic to be able to follow the designer’s specification. In most instances, blueprints are used to indicate where and how the equipment is to be installed. The ability to read blueprints is essential for the air-conditioning and refrigeration mechanic. Such ability will help ensure that the ductwork, refrigerant lines, and electrical service are properly connected. After making the connections, it is then necessary to charge the system with the proper refrigerant. Proper operation must be assured before the mechanic is through with the job. During the winter, air-conditioning mechanics inspect parts such as relays and thermostats. They also perform required maintenance. Overhauling may be included if compressors need attention or recharging. They may also adjust the airflow ducts for the change of seasons. Air-conditioning and refrigeration mechanics use a number of special tools. They also use more common tools such as hammers, wrenches, metal snips, electric drills, pipe cutters and benders, and acetylene torches. Air ducts and refrigeration lines require more specialized tools. 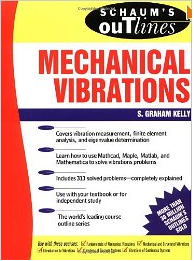 Voltammeters are also part of the mechanic’s toolbox. Electric circuits and refrigeration lines must be tested and checked. Testing of electrical components is also required. A good background in electricity is necessary for any mechanic. Cooling systems sometimes are installed or repaired by other craft workers. For example, on a large air conditioning installation job, especially where people are covered by union contracts, sheet-metal specialists might do ductwork. Electricians will do electrical work. The installation of piping will be done by pipe fitters. However, in small towns or small companies, the AC man will probably have to do all these specialized skills. Frost-free refrigerators and freezers call for some means of timing the defrost cycle. As the frost accumulates in the freezer and refrigerator sections, it must be removed. It is easily removed if done often enough to avoid a buildup. 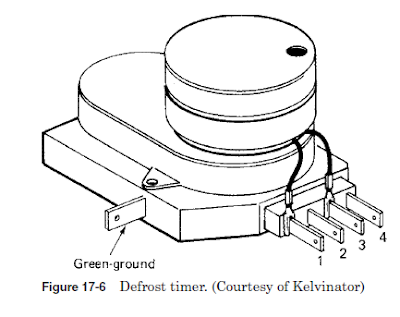 The defrost timer is used to control how often the defrost cycle takes place (see Fig. 17-6). Contacts 1 and 3 are used for the defrost-motor coils. Contacts 2 and 4 are used to make contact with the proper circuit components to provide energy to the defrost heater or compressor (see Fig. 17-7). 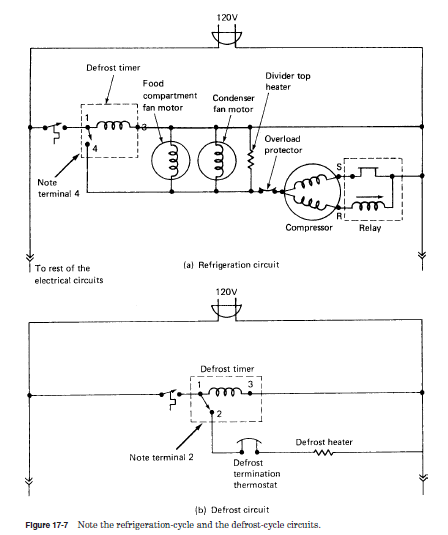 The termination thermostat shown in the circuit is located near or on the evaporator to sense its temperature and indicate that the defrost cycle is complete and has done its job of removing the frost from the evaporator. The defrost timer can be located in any number of places. Note the addition of other features, such as a drip catcher heater, mullion heater, and door heater. These heaters serve different purposes. The drip catcher heater allows the water that forms during defrost to drain out of the freezer unit to a pan underneath to be evaporated by the heat of the compressor nearby. The mullion heater and door heater are used to prevent a frost buildup on and around the doors of the freezer and refrigerator compartments when the outside air is very humid. maintenance safety devices - these additions (and procedures) ensure that the machine is still safe, even though the normal safety equipment is disabled. obvious that it is quite often assumed. where m is the number of dimensions required to specify the dimensions of all the parameters, q1, q2, .... qn. It is also possible to form new dimensionless π parameters as a discrete function of the (n – m) parameters. The limitation of this exercise is that the exact functional relationship in equation 1 cannot be obtained from the analysis. The functional relationship is generally arrived at through the use of experimental results. Irrespective of the method used the following steps will systematise the procedure. Step 1. List all the parameters that influence the phenomenon concerned. This has to be very carefully done. If some parameters are left out, π terms may be formed but experiments then will indicate these as inadequate to describe the phenomenon. If unsure the parameter can be added. Later experiments will show that the π term with the doubtful parameters as useful or otherwise. Hence a careful choice of the parameters will help in solving the problem with least effort. 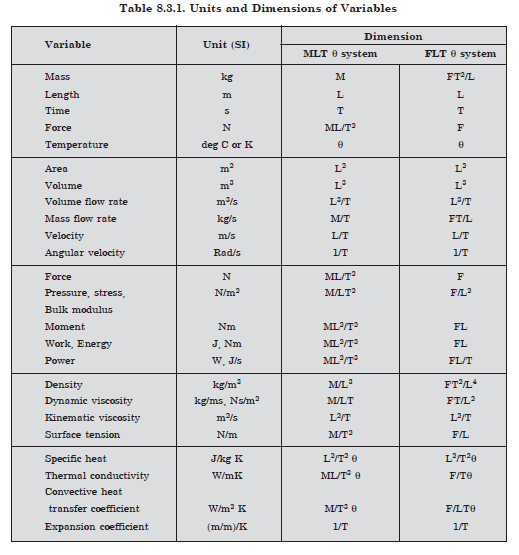 Usually three type of parameters may be identified in fluid flow namely fluid properties, geometry and flow parameters like velocity and pressure. Step 2. 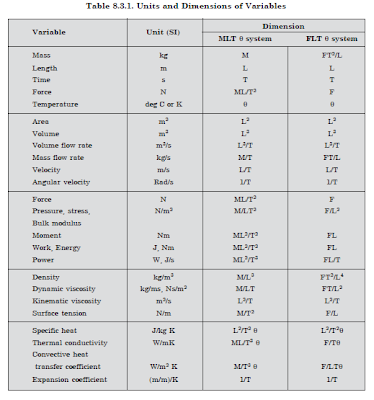 Select a set of primary dimensions, (mass, length and time), (force, length and time), (mass, length, time and temperature) are some of the sets used popularly. Step 3. List the dimensions of all parameters in terms of the chosen set of primary dimensions. Table 8.3.1. Lists the dimensions of various parameters involved. Step 4. Select from the list of parameters a set of repeating parameters equal to the number of primary dimensions. Some guidelines are necessary for the choice. (i) the chosen set should contain all the dimensions (ii) two parameters with same dimensions should not be chosen. say L, L2, L3, (iii) the dependent parameter to be determined should not be chosen. As the LHS term is dimensionless, an equation for each dimension in terms of a, b, c, d can be obtained. The solution of these set of equations will give the values of a, b, c and d. Thus the π term will be defined. Step 6. Check whether π terms obtained are dimensionless. This step is essential before proceeding with experiments to determine the functional relationship between the π terms. In fluids under static conditions pressure is found to be independent of the orientation of the area. This concept is explained by Pascal’s law which states that the pressure at a point in a fluid at rest is equal in magnitude in all directions. Tangential stress cannot exist if a fluid is to be at rest. This is possible only if the pressure at a point in a fluid at rest is the same in all directions so that the resultant force at that point will be zero. The proof for the statement is given below. Consider a wedge shaped element in a volume of fluid as shown in Figure above. Let the thickness perpendicular to the paper be dy. Let the pressure on the surface inclined at an angle θ to vertical be Pθ and its length be dl. Let the pressure in the x, y and z directions be Px, Py, Pz. When considering the vertical components, the force due to specific weight should be considered. The second term on RHS of the above equation is negligible, its magnitude is one order less compared to the other terms. Hence, the pressure at any point in a fluid at rest is the same in all directions. The pressure at a point has only one value regardless of the orientation of the area on which it is measured. This can be extended to conditions where fluid as a whole (like a rotating container) is accelerated like in forced vortex or a tank of water getting accelerated without relative motion between layers of fluid. Surfaces generally experience compressive forces due to the action of fluid pressure. In viscosity determination using Saybolt or Redwood viscometers, the time for the flow through a standard orifice, of a fixed quantity of the liquid kept in a cup of specified dimensions is measured in seconds and the viscosity is expressed as Saybolt seconds or Redwood seconds. The time is converted to poise by empirical equations. These are the popular instruments for industrial use. The procedure is simple and a quick assessment is possible. However for design purposes viscosity should be expressed in the standard units of Ns/m2. The fluid is filled in the interspace between two cylinders. The outer cylinder is rotated keeping the inner cylinder stationary and the reaction torque on the inner cylinder is measured using a torsion spring. The time for the flow of a given quantity under a constant head (pressure) through a tube of known diameter d, and length L is measured or the pressure causing flow is maintained constant and the flow rate is measured. This equation is known as Hagen-Poiseuille equation. The viscosity can be calculated using the flow rate and the diameter. Volume flow per second, Q = ( π d2/4) V. Q is experimentally measured using the apparatus. The head causing flow is known. Hence μ can be calculated. A small polished steel ball is allowed to fall freely through the liquid column. The ball will reach a uniform velocity after some distance. At this condition, gravity force will equal the viscous drag. The velocity is measured by timing a constant distance of fall. where r is the radius of the ball, V is the terminal velocity (constant velocity), ρ1 and ρ2 are the densities of the ball and the liquid. This equation is known as Stokes equation. Generally matter exists in three phases namely (i) Solid (ii) Liquid and (iii) Gas (includes vapour). The last two together are also called by the common term fluids. In solids atoms/molecules are closely spaced and the attractive (cohesive) forces between atoms/molecules is high. The shape is maintained by the cohesive forces binding the atoms. When an external force is applied on a solid component, slight rearrangement in atomic positions balances the force. Depending upon the nature of force the solid may elongate or shorten or bend. When the applied force is removed the atoms move back to the original position and the former shape is regained. Only when the forces exceed a certain value (yield), a small deformation called plastic deformation will be retained as the atoms are unable to move to their original positions. When the force exceeds a still higher value (ultimate), the cohesive forces are not adequate to resist the applied force and the component will break. In liquids the inter molecular distances are longer and the cohesive forces are of smaller in magnitude. The molecules are not bound rigidly as in solids and can move randomly. However, the cohesive forces are large enough to hold the molecules together below a free surface that forms in the container. Liquids will continue to deform when a shear or tangential force is applied. The deformation continues as long as the force exists. In fluids the rate of deformation controls the force (not deformation as in solids). More popularly it is stated that a fluid (liquid) cannot withstand applied shear force and will continue to deform. When at rest liquids will assume the shape of the container forming a free surface at the top. In gases the distance between molecules is much larger compared to atomic dimensions and the cohesive force between atoms/molecules is low. So gas molecules move freely and fill the full volume of the container. If the container is open the molecules will diffuse to the outside. Gases also cannot withstand shear. The rate of deformation is proportional to the applied force as in the case of liquids. Liquids and gases together are classified as fluids. Vapour is gaseous state near the evaporation temperature. The state in which a material exists depends on the pressure and temperature. For example, steel at atmospheric temperature exists in the solid state. At higher temperatures it can be liquefied. At still higher temperatures it will exist as a vapour. A fourth state of matter is its existence as charged particles or ions known as plasma. This is encountered in MHD power generation. This phase is not considered in the text. If the density of a fluid varies significantly due to moderate changes in pressure or temperature, then the fluid is called compressible fluid. Generally gases and vapours under normal conditions can be classified as compressible fluids. In these phases the distance between atoms or molecules is large and cohesive forces are small. So increase in pressure or temperature will change the density by a significant value. If the change in density of a fluid is small due to changes in temperature and or pressure, then the fluid is called incompressible fluid. All liquids are classified under this category. When the change in pressure and temperature is small, gases and vapours are treated as incompressible fluids. For certain applications like propagation of pressure disturbances, liquids should be considered as compressible. The Rankine cycle is the most widely used cycle for electric power generation. Figure 2.1 illustrates a simplified flow diagram of a Rankine cycle. Figure 2.2(a, b) shows the ideal Rankine cycle on P-v and T-s diagrams. FIGURE 2.1 Schematic flow diagram of a Rankine cycle. Cycle 1-2-3-4-B-1 is a saturated Rankine cycle (saturated vapor enters the turbine). Cycle 1′-2′-3-4-B-1′ is a superheated Rankine cycle. The cycles shown are internally reversible. 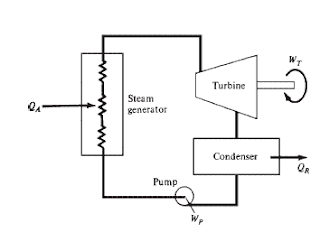 The processes through the turbine and pump are adiabatic reversible. Hence, vertical on the T-s diagram. There are no pressure losses in the piping. Line 4-B-1-1′ is a constant-pressure line. Line 1-2 or 1′-2′. Adiabatic reversible expansion through the turbine. The exhaust vapor at point 2 or point 2′ is usually in the two-phase region. Line 2-3 or 2′-3. 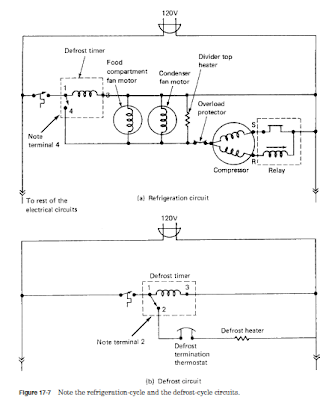 Constant-temperature and, being a two-phase mixture process, constant- pressure heat rejection in the condenser. Line 3-4. Adiabatic reversible compression by the pump of saturated liquid at the condenser pressure, point 3, to subcooled liquid at the steam generator pressure, point 4. Line 3-4 is vertical on both the P-v and T-s diagrams because the liquid is essentially incompressible and the pump is adiabatic reversible. Line 4-1 or 4-1′. Constant-pressure heat addition in the steam generator. Line 4-B-1-1′ is a constant-pressure line on both diagrams. Portion 4-B represents bringing the subcooled liquid, point 4, to saturated liquid at point B. Section 4-B in the steam generator is called an economizer. Portion B-1 represents heating the saturated liquid to saturated vapor at constant pressure and temperature (being a two-phase mixture), and section B-1 in the steam generator is called the boiler or evaporator. Portion 1-1′, in the superheat cycle, represents heating the saturated vapor at point 1 to point 1′. Section 1 1′ in the steam generator is called a superheater. FIGURE 2.2 Ideal Rankine cycles of the (a) P-V and (b) T-s diagrams. Line 1-2-3-4-B-1 saturated cycle. Line 1′-2′-3-4-B-1′ superheated cycle. CP critical point. The exhaust of automobiles is one of the major contributors to the world's air pollution problem. Recent research and development has made major reductions in engine emissions, but a growing population and a greater number of automobiles means that the problem will exist for many years to come. During the first half of the 1900s, automobile emissions were not recognized as a problem, mainly due to the lower number of vehicles. As the number of automobiles grew along with more power plants, home furnaces, and population in general, air pollution became an ever-increasing problem. During the 1940s, the problem was first seen in the Los Angeles area due to the high density of people and automobiles, as well as unique weather conditions. By the 1970s, air pollution was recognized as a major problem in most cities of the United States as well as in many large urban areas around the world. Laws were passed in the United States and in other industrialized countries which limit the amount of various exhaust emissions that are allowed. This put a major restriction on automobile engine development during the 1980s and 1990s. Although harmful emissions produced by engines have been reduced by over 90% since the 1940s, they are stilI a major environmental problem. Four major emissions produced by internal combustion engines are hydrocarbons (He), carbon monoxide (CO), oxides of nitrogen (NOx), and solid particulates. Hydrocarbons are fuel molecules which did not get burned and smaller nonequilibrium particles of partially burned fuel. Carbon monoxide occurs when not enough oxygen is present to fully react all carbon to CO2 or when incomplete air-fuel mixing occurs due to the very short engine cycle time. Oxides of nitrogen are created in an engine when high combustion temperatures cause some normally stable N 2 to dissociate into monatomic nitrogen N, which then combines with reacting oxygen. Solid particulates are formed in compression ignition engines and are seen as black smoke in the exhaust of these engines. Other emissions found in the exhaust of engines include aldehydes, sulfur, lead, and phosphorus. Two methods are being used to reduce harmful engine emissions. One is to improve the technology of engines and fuels so that better combustion Occurs and fewer emissions are generated. The second method is after treatment of the exhaust gases. This is done by using thermal converters or catalytic converters that promote chemical reactions in the exhaust flow. These chemical reactions convert the harmful emissions to acceptable CO2, H20, and N2.